Here it is! 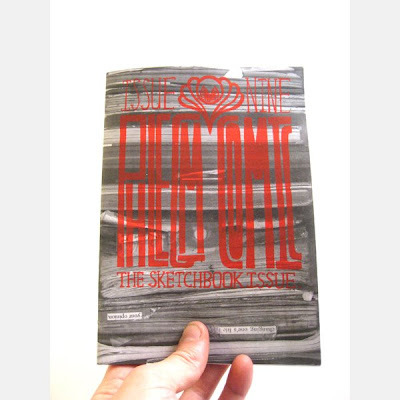 issue nine of phlegm comic, the sketchbook issue. It's now all done and boxed up fresh from the printers. It's a short run of 1000 this time because I'm saving my money to get cluster and a few other mini comics printed later this year. I'll be stocking shops all next week onwards, so if your desperate your going to have to buy it from my shop on-line. I've also done about two hundred limited edition covers where i faded colours together instead of using just the neon orange that the rest of the run has. I've also signed all the limited copies. These limited ones go out to all the people who have reserved them already plus all the eager beavers who order it in the first couple of weeks. 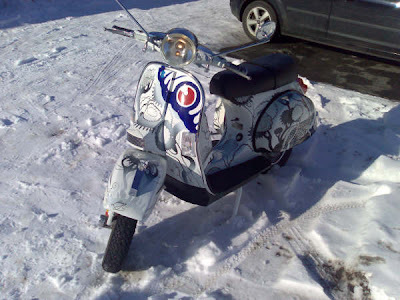 On another note...if anyone wants to bid for the scooter below decorated by my loving hands click this link to ebay and go for it. Now i've got you all off my back i'm going to work on cluster for the next few months.